Known film traditionalist Christopher Nolan has just scored the widest 70MM theater release in 25 years, per Variety. 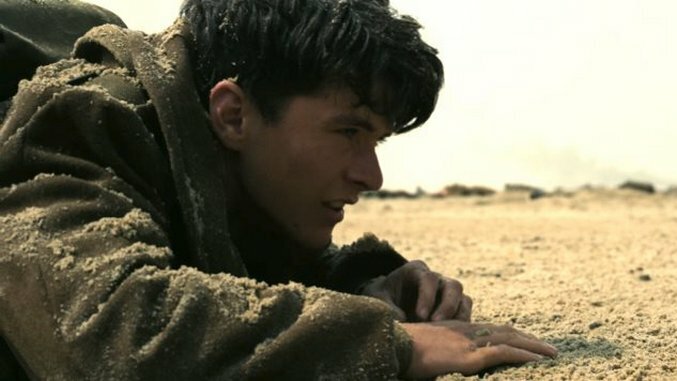 Nolan’s forthcoming WWII action thriller Dunkirk will be screened on 70MM film in 125 theaters around the country via Warner Bros. Pictures. One of the few directors to still reject digital filmmaking, Nolan shot Dunkirk on 70MM, making his intention for the screening format clear. Nolan’s widest release on film prior was 2014’s Interstellar, which screened in 50 70MM IMAX theaters. Fellow auteur Quentin Tarantino was the last director to work with 70MM screenings on this level when The Hateful Eight premiered in 100 theaters in December 2015. The effort reportedly cost the Weinstein Company $11 million. Dunkirk, starring Tom Hardy, Kenneth Branagh, Mark Rylance, Cillian Murphy and Harry Styles, opens in theaters July 21. Tickets and available locations for the 70MM screenings can be found here. Watch the film’s new extended TV trailer below.